Mohuiddin International Girls School and low lying properties on Church St, Shorey Bank and Netherwood Rd. The area bounded in blue on the map shows the area covered by flood alerts and warnings for River Brun at Burnley, at Mohuiddin International College, Church St, Shorey Bank, Netherwood Rd. Properties on Netherwood Rd, Keirby Walk, Hall St and in the Mall. Properties, including Tescoa? ?s on Centenary Way, The Town Hall on Manchester Rd, Works just downstream of the Railway Viaduct and a property on Holme Rd. 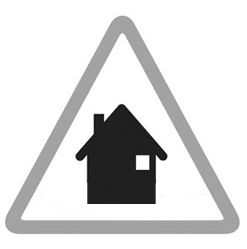 Low lying properties by the River Calder including those on Saint James St, Brown St, Hammerton St, Active Way and Calder Vale Rd.